Paul Kirk has been named to serve as the interim successor to Ted Kennedy. Massachusetts Gov. 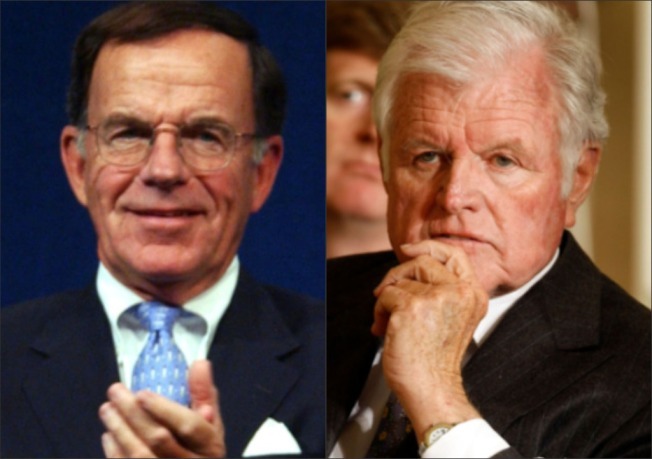 Deval Patrick will tap a former Democratic National Committee chairman to take the Senate seat left open by the death of Ted Kennedy. Paul Kirk will serve in the post until voters pick a permanent replacement in a Jan. 19 special election. Kirk was a close friend of the Kennedy, who died of brain cancer on Aug. 25, and will give President Obama a critical 60th Senate vote he needs to pass his the health care overhaul. "It's an opportunity in a short period of time to try to complete some of the work Sen. Kennedy has been working his whole life on," one aide told The Associated Press. The 71-year-old Kirk, a Boston attorney, was among the few regular visitors allowed at Kennedy's Hyannis Port home before Kennedy died. Kirk now serves as chairman of the John F. Kennedy Library Foundation. He was in the national spotlight last month when he hosted a memorial service the evening before Kennedy's funeral. Asked recently whether he would be interested in an interim appointment, Kirk told The Associated Press in an e-mail, "It would be much too presumptuous of me to even consider. Hope you will understand."